The Low Carbon Combustion Centre is committed to providing industry with expert research into power, fuel, energy efficiency and, ultimately, the reduction in carbon emissions. The centre is equipped to conduct pilot scale research into alternative fuels for the aviation, process, energy and power generation industries. The development of renewable fuels as an alternative fuel source is a key strategy in reducing the environmental impact of these industries. Therefore the main focus of our work is to provide the expertise necessary to control the combustion processes of these and new low carbon fuels, reduce undesirable emissions and to develop carbon reduction techniques around the use of hydrocarbon fuels. The unique feature of the site lies in the use of the pilot scale facilities which helps reduce risk for industry. Hence the facilities attract industrial projects as well as more fundamental grant based research. The Low Carbon Combustion Centre (LCCC) based in Beighton is a initiative by the University of Sheffield. 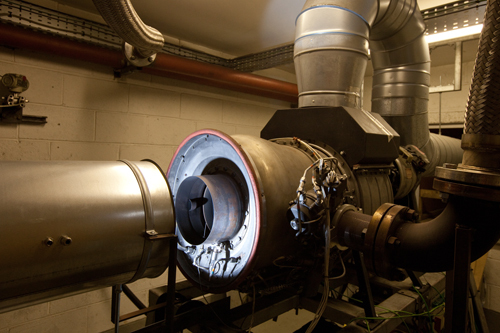 The centre boasts state-of-the art facilities with a range of pilot scale test rigs including, a 350 kW fluidised bed combustor, a 60kW Rolls Royce gas turbine engine facility, a 250kW Rotary kiln, a solid oxide fuel cell (SOFC) test rig, a 250kW furnace, an atmospheric combustion and ignition line and a mobile emissions laboratory. The Centre also houses the Aviation Fuels Thermal Stability Test Unit (AFTSTU) and lubricants stability (LSIS) test rig. Other than the LCCC, only the U.S. military can facilitate this type of fuel testing. The LCCC is renowned for its world class research and has been recognised as being the leading research group in the field of alternative fuel, carbon capture and energy. Currently the centre comprises over 100 members. The ever increasing stringent regulation in environmental regulation coupled with the increasing need to reduce reliance on fossil fuels has driven much of the group´s research activity since its inception. 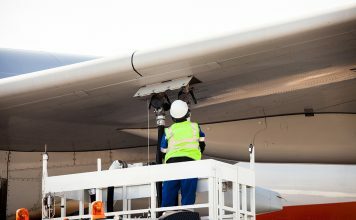 Gas turbine engine manufacturer and aviation fuel suppliers such as as Rolls Royce and Shell have funded much of the group´s research aimed at improving the efficiency of the aviation gas turbine engine and to seek possible alternative fuels. The centre also houses a few test rigs which are utilised for solid fuel testing. The expertise of Sheffield has allowed research to be carried even in the field of renewable and alternative solid fuels. In order to reduce dependencies on coal and energy crops, the centre possesses various equipment which would allow blends of multiple biomass and other solid material to be tested while the mobile laboratory is equipped with a state of the art emissions monitoring equipment. Since its establishment the LCCC has consistently attracted funding from various sources worldwide and continues to grow.